Page updates, recipes and DIY's for integrating potent plant-based nutrition into your active life! 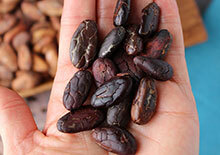 Ever wondered what the difference is between cacao vs cocoa? Learn more about the Theobroma cacao species, the bean all chocolate comes from as well as why and how it is fermented. We'll discuss more on nutritional value of both cacao and cocoa and our researched findings on their different ratios theobromine and caffeine content. Continue reading "Cacao Vs Cocoa"
Celery juice is the liquid extracted from raw celery stalks and consuming a daily glass of this bright green drink has become a very popular worldwide trend, particularly starting in the latter half of 2018. 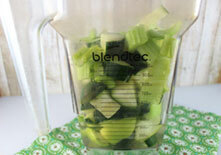 The concept of juicing one particular vegetable variety at a time is occasionally referred to as "mono juicing." Instead of juicing several different types of fruits or vegetables together, like when making the typical green juice, mono juices specifically help to concentrate a fruit or vegetable’s health-enhancing constituents. 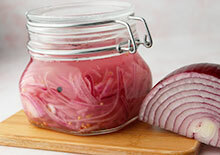 Continue reading "Top Benefits of Celery Juice"
Making your own lacto-fermented pickled red onions is a super easy process. All you need are a few basic ingredients: onions, salt, pickling spices and a culture starter. Compared to other fermented food recipes, this one doesn't involve special food-specific cultures but can be made with any probiotic supplement powder. After fermenting them for about a week they will develop a nice soft sweet pickled taste that also takes on whatever spice flavorings you incorporate into the recipe. Continue reading "Pickled Red Onions"
Most people are familiar with cinnamon as a culinary spice or natural flavoring, but a variety that is less familiar here in the West is the one known as Chinese cinnamon. 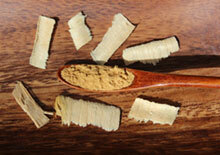 This is the specific type of cinnamon referred to as "Chinese" cinnamon or Rou Gui in Chinese herbalism. It is commonly found in thick bark-like pieces rather than the typical "cinnamon stick" or rolled up quill. 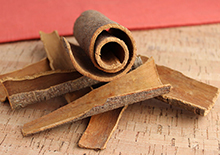 The other Chinese variety is called cinnamon twig or Gui Zhi, which is derived from the twig branches of the cinnamon tree as opposed to the trunk itself. Continue reading "About Chinese Cinnamon"
Pumpkin seeds are the edible olive-green seeds produced by pumpkins, a type of squash cultivar. 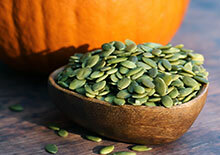 Also known by their Spanish name "pepitas", the pumpkin and its seeds have been utilized for centuries by cultures of North and South America as a dietary food source and for their medicinal attributes. The pumpkin is believed to be one of the oldest domesticated squash species which occurred about 10,000 years ago in Oaxaca, Mexico. Evidence suggests that squashes like pumpkin were cultivated even before the two sister crops, maize and beans. Continue reading "Health Benefits of Pumpkin Seeds"
Kefirs are cultured drinks produced by lacto-fermenting certain liquids for a short 1-3 day period of time. Among the list of fermented foods, they are one of the easiest to make from scratch, requiring only a few ingredients and minimal skill level. 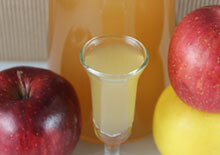 When it comes to water kefir vs milk kefir, both can be health-enhancing drinks to consume for most people. 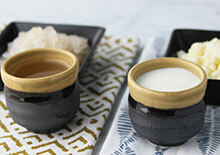 However, each variety of kefir is made somewhat differently, utilizing unique cultures that provide slightly different end results. Continue reading "Water Kefir Vs Milk Kefir"
The onion and its many different cultivars are one of the most popular species of Allium vegetables, coming close to garlic for its flavorful taste that blends well into numerous savory dishes and cultural recipes. There is in fact no other single food that is used by so many different nationalities around the globe then that of the familiar-looking and humble onion bulb. 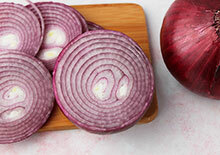 Eaten raw, sautéed, grilled, simmered and even pickled, onions and their many selections seem to have made a permanent place in the pantries of most kitchens worldwide. Olives are another one of those ancient fruits second only to grapes that were valued for their pressed juices as well as a food source. 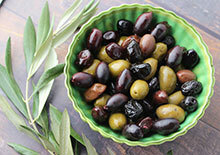 Because of its naturally bitter taste and crunchy texture, the raw olive was in fact first utilized for its "olive oil" rather than something you would actually eat ripe off the tree. Eventually curing methods were implemented to make the pulp edible, essentially transforming a hard non-palatable fruit into a rich fatty and flavorful delicacy that is enjoyed by many olive-producing countries or as an imported product. Continue reading "Health Benefits of Olives"
Largely popular in the Western world for its profound benefits to immune functions, astragalus is also recognized as one of the most potent Chi (Qi) tonic herbs available and has been utilized for centuries in Chinese herbalism for its protective, restorative and enlivening influence. 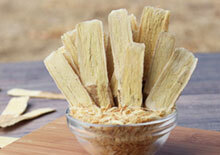 What is a Chi tonic herb? Essentially, Chi tonics are natural “energy builders” and astragalus is top on the list of "major tonic herbs" for such purposes. Frequently used as a decocted tea, tincture as well as a powdered or encapsulated extract, the roots need to be hot water or alcohol processed to release their valued properties. Continue reading "Top Astragalus Root Benefits"
Want to learn how to make a kombucha scoby from scratch so you can make your own homemade kombucha? 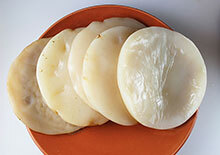 If so, you will need a scoby, also referred to as a "kombucha mushroom" or "kombucha mother culture." We've literally been making our own since the late 80's, so we do have quite a bit of experience with this procedure. Back then, kombucha was not found in stores like it is today, nor were scoby cultures available for sale. You had to basically get a "mother" and liquid starter from a friend (or friend of a friend of a friend in some cases). It was more of a community affair. Continue reading "How to Make a Kombucha Scoby"
Ever want a nuts and seeds list with nutritional data all on one place, well here it is! We've compiled these break downs for you to refer back to when you want a quick glance at specific nutrient levels. The charts below list the top most common seed and nut varieties to help you evaluate which ones you might want to include more or less of according to your own personal health objectives. This info may come in handy if you're adhering to a precise dietary protocol in which more details might be helpful. Continue reading "Nuts and Seeds List of Nutritional Data"
Agave sweetener, also referred to as agave syrup or nectar, is the processed sap or juice commercially extracted when ripe from the core of the plant "pina." 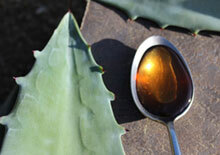 Today, most agave sweeteners are primarily produced from the same blue Agave tequilana species used to make the popular distilled alcoholic beverage known as tequila. Here on this page, we'll discuss agave sweetener's commercial production and its controversial use and marketing as a "natural" sweetener. And... Is it comparable to high fructose corn syrup? Is It a Miracle Curative? 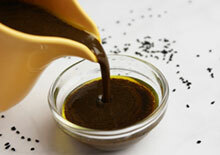 Black seed oil, also called black cumin seed oil, is the oil derived by pressing or cold extracting the seeds from the Nigella sativa species. This variety is not related to the Cuminum cyminum species known as cumin, nor the cumin-related species Bunium bulbocastanum, also referred to as "black cumin." The herbaceous N. sativa seed plant is common to Mediterranean locations as well as southwestern Asian countries like India, Afghanistan and Pakistan. They don't taste anything like "regular cumin" but have a pungent flavor that is usually combined with other spices. 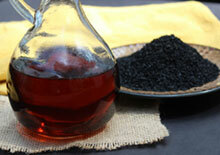 Continue reading "Benefits of Black Seed Oil"
Do They Contain Fig Wasps? 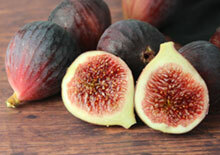 Figs are one of those ancient fruits, up there with dates, grapes and olives, that have been utilized since the dawn of human life. Repeatably mentioned in the Bible as well as valued as a holy tree species in many major religions of the world, they are known to symbolize prosperity, peace and fertility. Native to the Middle East and then spreading to Mediterranean locations, the Ficus carica species has been widely grown and consumed by humans in regions spanning from Portugal to Afghanistan. Within the Ficus genus there are also other tropical variations on the Indian subcontinent, like the Ficus religiosa or the "sacred fig." Continue reading "Nutritional Benefits of Figs"
Want to learn how to make pumpkin seeds straight from the pumpkin for a healthy alternative to roasting methods? 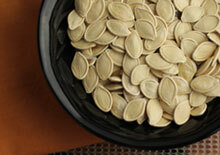 Use those whole unshelled seeds from your Halloween pumpkin and make healthy nutritious snack food for you and your family. Sure, you can bake them in an oven, but another way to make them without high heat is to use a dehydrator. Much like sunflower seeds in their shell, the end result will give you a tasty snack to crack open and munch on. Continue reading "How to Make Pumpkin Seeds"
Tribulus terrestris comes from the genus Tribulus which includes about 13 different species. Despite its thorny nature, the aerial portion of the plant and especially its seeds (or fruits) have been highly valued in certain countries for different therapeutic purposes as an herbal substance. We'll discuss traditional Ayurvedic and Chinese uses, but first... what are the differences between tribulus extracts and other herb-based preparations? 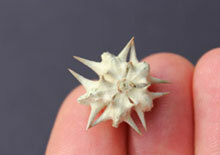 And, can tribulus supplements actually increase testosterone levels in men and build muscle mass? Continue reading "Tribulus Terrestris Review"
This is our black cumin seed salad dressing that also features another black superfood favorite, black garlic! We've reviewed both of these on our black seed oil and black garlic pages, and recently decided to experiment with using them together in an apple cider vinaigrette. The blended end result proved to be the perfect combo for a delicious tasting dressing that is full of health-enhancing potential. Black seeds and their cold-pressed oil have an herbal thyme-like flavor due to the thymol compound, while the black garlic adds a subtly sweet and tangy element. Continue reading "Black Cumin Seed Salad Dressing"
Aloe vera gel and juice, for consumption purposes, is typically extracted from the Aloe barbadensis Miller subspecies of the main "true" Aloe vera plant. This is the most popular variety for dietary use because of its larger sized leaves and medicinal qualities. As a hardy succulent desert-growing plant, aloe has developed a specialized storage structure which enables it to efficiently hold water within its thick green skin. These features provide a moisturizing gelatinous fiber and juice that can have a health enhancing and healing influence when consumed as a dietary food. 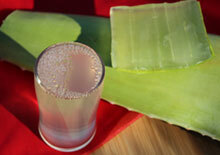 Continue reading "Aloe Vera Gel Vs Juice"
Is It Better Than Raw Garlic? Black garlic has a long history of use as a prized medicinal and culinary superfood in several Asian countries, primarily Korea, Japan and Thailand. Utilized today for its distinct flavor and texture as a gourmet ingredient, it is also becoming popular for its exceptional nutritional value that in some aspects supersedes the raw garlic it was created from. Made from whole unpeeled Allium sativum bulbs, it is allowed to age for a period of time, eventually darkening the bulbs and turning the cloves a dark black licorice-like color. 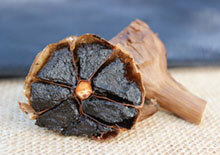 Continue reading "What is Black Garlic?" 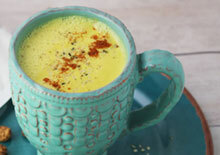 Golden milk, or also sometimes referred to as "turmeric tea" is a delicious warming beverage. Blending together the three main superfood spices commonly found in most kitchen spice racks: cinnamon, ginger and turmeric, this milk recipe is a naturally stimulating combo and perfect for those trying to reduce daily caffeine consumption. We often enjoy a mug full in the mornings or as a tasty mid-day pick-me-up. It's creamy sweet and full of flavor plus all the benefits that turmeric can offer. Continue reading "Golden Milk Recipe"
Aphanizomenon flos-aquae, or AFA for short, is a dietary microalgae supplement currently sourced primarily from Upper Klamath Lake, located in the western U.S. state of Oregon. Here on this page, we present information according to our personal investigation into Upper Klamath Lake derived AFA and its potential cyanotoxin content. 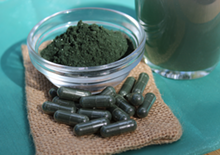 We hope our gathered findings may be of value to you if you are either a current blue-green algae consumer or are considering dietary supplementation. 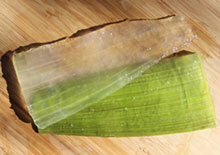 Continue reading "Aphanizomenon flos-aquae Blue-Green Algae"
Why would you want to learn how to fillet aloe leaf? Most people are familiar with aloe's topical applications for the skin and hair, but aloe is also quite beneficial when consumed as a dietary food source. Known for its potent polysaccharide-rich gel, or thick translucent gelatinous fiber, it is one of our top superfoods for its cleansing, moisturizing, soothing and hydrating influence. Using fresh aloe leaves is a superior and often inexpensive way to make your own aloe vera gel that you can use immediately or freeze for later use. Continue reading "How to Fillet Aloe Leaf"
Chia seeds benefits have long been utilized by ancient and present-day cultures of Mexico and Central America, where they grow wild and are now extensively cultivated. After the "chia pet" phase in the 1970's, the seeds continued to become more well-known worldwide as an edible variety in the late 1990's among small health-conscious communities, particularly those adhering to a raw vegan diet. Today, they have become increasingly popular as a dietary adjunct to those seeking to reduce unwanted body weight. This is because the use of the whole raw unheated seeds, especially when soaked and blended, provide an ideal food source for most any weight loss protocol. 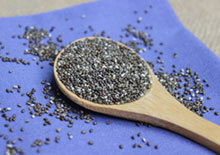 Continue reading "Chia Seeds Benefits for Weight Loss"
Most people are familiar with bamboo shoots, a common canned, fermented and boiled vegetable, but bamboo from a nutritional standpoint, is also becoming more well-known these days for use as a nutritive tea and supplement extract. Here on this page, we will discuss bamboo and its modern-day preparations, in addition to its traditional uses as an herbal substance. 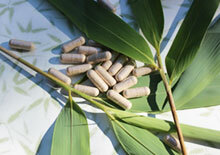 And also, what is silica and is bamboo a good source of this very useful mineral? Continue reading "Bamboo Tea and Supplement Extracts"
This is our basic recipe for making lacto-fermented green beans using a brine pickling method that does not involve high heat or canning methods. 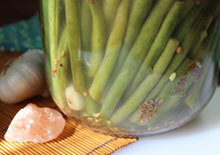 These are fermented or "cultured" using a pink salt water brine and a probiotic culture starter rather than vinegar. The beans, after being fully submerged within this liquid for about 4-7 days (depending on room temperature), produce a crisp dill-pickled green bean. This technique, in our opinion, is a much healthier option over home-canning as nutrients, enzymes and valuable probiotics for healthy gut flora are not destroyed in the process. Continue reading "Lacto-Fermented Green Beans"
Tongkat ali, or sometimes referred to as "longjack" or "pasak bumi", is a prized male tonic particularly famous for its potential libido enhancing influence. The longjack species, Eurycoma longifolia, is a small exotic shrub-like tree indigenous to Southeast Asia, particularly Malaysia and regions of Indonesia. It is the long deep roots of the plant that have been utilized in traditional folk remedies and now in modern-day powdered extracts for their potent therapeutic value. Continue reading "Benefits of Tongkat Ali"
Chaga, Inonotus obliquus, is a rather unusual looking medicinal mushroom species that's not your typically polypore but one that grows as a black sclerotium or conk on the side of living trees. The birch tree, being its preferred tree of choice, is believed to hold the most nutritional elements needed for the mushroom's growth and condensed amount of beneficial myconutrients. Consumed as a decocted tea, hot water extract or liquid solution, the mushroom is considered a nourishing "superfood" and medicine for its transferred immune-modulating and protective influence. 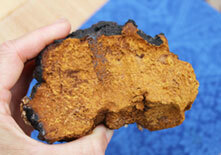 Continue reading "Chaga Mushroom Benefits"
Don't want to drink green juice because you have an underactive thyroid? 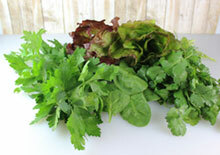 While this might limit you from eating the wide assortment of greens and sprouts from the family of cruciferous vegetables, there are fortunately other options.We have put together a list of non-cruciferous green leafy vegetables to refer to when making your homemade green juices or other juicing recipes. Although the cruciferous types are considered to be highly nutritious, with a number of studies indicating their protective influence, large quantities when consumed in their raw state have been shown to be potentially health diminishing to someone with a thyroid disorder. Continue reading "Non-Cruciferous Green Leafy Vegetables List"
Want to learn how to make date sugar using a dehydrator not an oven? Well, it took us a few attempts to get it down, but now we know how to successfully make homemade date sugar without having to bake the dates first. There is a bit of a technique to it as dates by nature are rather moist and sticky. 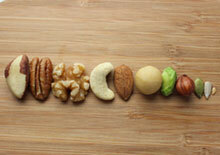 Thus, they are not easy to dehydrate first time around, but actually require a 2-step dehydration process. While it might take a little bit longer, the end result produces a fine powdery sugar that is very similar to the consistency of coconut sugar. 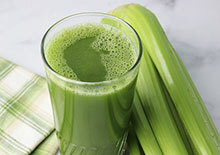 Continue reading "How to Make Date Sugar"
A green juice is the concentrated liquid created from cold-pressing raw low-sugar vegetables and leafy greens through a juicer. 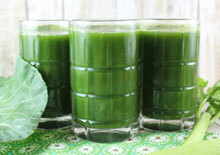 While the initial concept of consuming green juice started way back in the 1930's as a therapeutic treatment for many chronic illnesses, in the past several decades "green juicing" has become an increasingly popular trend amid health-conscious communities worldwide.The specific types we are referring to are raw and unpasteurized, preferably homemade or freshly pressed using organic high-quality produce. Continue reading "Benefits of Drinking Green Juice"
A chaga coffee alternative is basically a bitter-sweet tasting drink made with, you guessed it... the chaga mushroom! 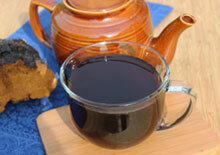 Chaga is a medicinal variety that when simmered in water for a period time turns into a dark rich tasting liquid that is full of health enhancing potential. For those of you who'd like a less caffeinated, yet energizing, hot morning beverage to start your day, a chaga coffee alternative might be just the thing for you. Continue reading "How to Make a Chaga Coffee Alternative"
Longan fruit is one of the elite fruits of the Chinese herbal system, respected alongside schizandra and goji for its tonifying attributes. The Chinese name, long yan rou, translates "dragon eye" or "dragon eye flesh." This is because the sliced open fruit surrounds a dark shiny pupil-like seed, thought to resemble an eye of a dragon. 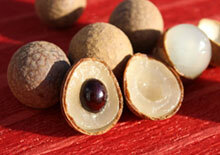 Despite its long-time popularity in the Orient, reported to date back to the Han Dynasty, the longan is considered to be a relatively new fruit to other parts of the world. 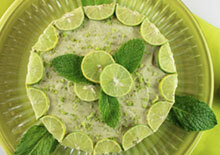 Want to learn how to make juice with a blender? It's a super easy and practical way to make juice if you don't happen to have an electric juicer. Even if you have one, this process is a great alternative when traveling. It also makes a nice secondary option if you're in a rush and not into cleaning a bunch of juicer parts. While blenders are typically utilized to make green smoothies or raw soups, here you will be separating the pulp fiber from the liquid much the same way that a juicer does. 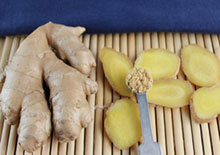 Continue reading "How to Make Juice with a Blender"
Ginger is a medicinal root-rhizome as well as a popular culinary spice indigenous to tropical locations ranging from India to Southern Asia. It was in fact one of the first spices exported from the Orient during the spice trade and famed routes of world exploration. 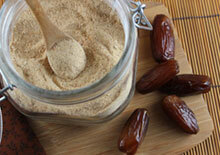 Consequently, most all cultures are familiar with its use as a dried powder or a fresh root. Ginger, however, is not just useful as a dietary condiment for flavoring dishes but is also a pungent potent herbal ally to have in your superfood treasure chest as well as your spice rack. Continue reading "Top 4 Benefits of Ginger Root"
Our vegan key lime pie recipe is a no-bake pie made with non-customary ingredients plus, as always, a few superfood surprises, like moringa powder. In this recipe we use raw vegan "uncooking" methods that are frequently employed when making live food desserts, like cheesecake, pudding and pies. We had to play around a bit with the different ratio of ingredients, but finally got it just right and the recipe below is the end result. While conventional key lime pie is similar to lemon meringue pie, ours is more like a cross between a custard and a cheesecake. Continue reading "Key Lime Pie Recipe"
The use of apple cider vinegar has deep roots in American history and was once a popular homemade ferment created from hard apple cider. Often claimed to be the age-old remedy elixir prescribed by Hippocrates himself, "the father of modern-day medicine", its cultured use can be found worldwide wherever apple trees are abundant. But, what exactly is it and why is it more beneficial than other types of vinegar? Mucuna pruriens is a well-known Ayurvedic herb used extensively in one of the oldest health care systems in the world, the traditional Indian medicine of Ayurveda. As a highly valued rasayana or rejuvenating plant-based substance, it is acknowledged for its potential as both an aphrodisiac and nervine tonic. It has likewise been utilized therapeutically for centuries to provide balance to reproductive and nervous system functions. Sometimes referred to as the "dopamine bean", it is also valued as a high-yielding source of L-DOPA or levodopa, a precursor to the mood-uplifting neurotransmitter dopamine. 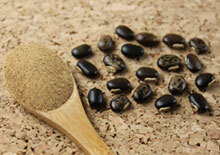 Continue reading "Mucuna Pruriens Benefits"
What is a vegetable spiralizer? Most health-conscious chefs today have heard of these very handy and inexpensive specialized slicers that, with some hand cranking involved, can basically create gluten-free, vegan, low-carb pasta-like noodles. Whether you're looking for creative, colorful and/or nutritious ways to add more vegetables into your diet or trying to eliminate refined grains, a vegetable spiralizer can be a simple way to add flair and texture to your meals. Learn about some of the top-rated brands as well as our own personal favorite vegetable spiralizer model. 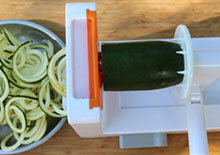 Continue reading "The Vegetable Spiralizer"
A Weed or Nutritious Superfood? Wild dandelion greens are the young or mature leaves of the dandelion plant, probably one of the most famous wild edible foods known worldwide. Often considered by gardeners or lawn owners alike to be a type of troublesome "weed", to the typical herbalist or forager dandelions are viewed as a highly nutritious food source and medicinal herb. Growing in abundance in spring and fall seasons, learn more about their benefits and how to safely identify and harvest your own. 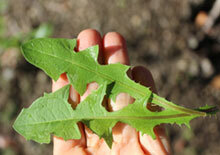 Continue reading "Wild Dandelion Greens"
Hello RSS feed subscribers! :) Very soon (March 14, 2018) we will be transitioning over to a new website domain name (same site just new URL) and our blog feed URL will therefore be changing as well. If you'd like to continue receiving our Superfoods Blog feeds, you may need to resubscribe using the following URL: https://www.superfoodevolution.com/superfoods.xml - Our feed address, https://feeds.feedburner.com/SuperfoodsBlog, however, will remain the same. 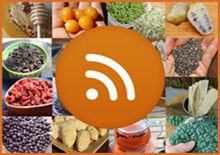 Continue reading "Special Announcement for RSS Feed Subcribers"